The following is a list of choices which represent the cost of our services. They may or may not include the casket or container required for visitation or viewing, burial, entombment or cremation. You are in no way limited to these service options. You may itemize services in order to select only those which are right for you. The packages listed below represent a savings from the itemized price list. Therefore, deductions for items not used are not allowed. The packages below only apply when the casket/cremation container is purchased through Cattermole Funeral Home. Direct cremation includes basic services of funeral director and staff; daytime transfer of remains to funeral home; refrigeration (up to 5 days); and crematory fee. The cremation with graveside inurnment includes basic services of funeral director and staff; daytime transfer of remains to funeral home; refrigeration (up to 5 days); staff and equipment for graveside service; and crematory fee. The visitation followed by cremation includes basic services of funeral director and staff; daytime transfer of remains to funeral home; embalming, dressing, cosmetics; one day of viewing; and crematory fee. The memorial service no visitation and cremation includes basic services of funeral director and staff; daytime transfer of remains to funeral home; refrigeration (up to 5 days); facilities staff and equipment for memorial service in our chapel, or staff and equipment for memorial service at another location; and crematory fee. The memorial service with visitation and cremation includes basic services of funeral director and staff; daytime transfer of remains to funeral home; embalming, dressing, cosmetics; one day of viewing; facilities, staff and equipment for memorial service in our chapel, or staff and equipment for memorial service at another location; and crematory fee. 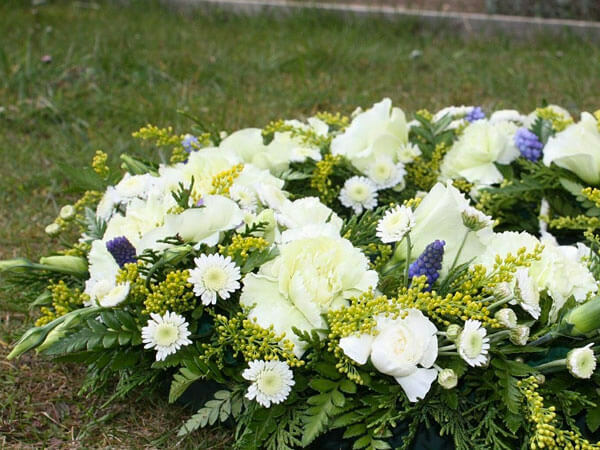 The funeral service with no visitation and cremation includes basic services of funeral director and staff; daytime transfer of remains to funeral home; refrigeration (up to 5 days), dressing; facilities, staff and equipment for funeral service in our chapel, or staff and equipment for funeral service at another location; crematory fee; and funeral coach (if needed). The funeral service with visitation and cremation includes basic services of funeral director and staff; daytime transfer of remains to funeral home; embalming, dressing, cosmetics; one day of viewing; facilities staff and equipment for funeral service in our chapel, or staff and equipment for funeral service at another location; crematory fee; and funeral coach (if needed).